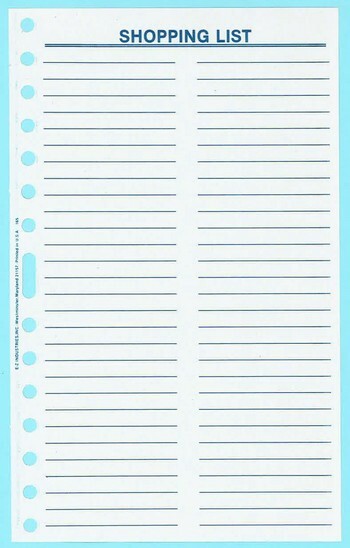 Home » Discontinued Items » 8" X 5"
165 - Shopping List Sheets - 8" X 5"
50 sheets per package. 8" X 5". Fits E-Z Record 303, 333, 304(discontinued), 704, 705 and other binders with 3, 7 or 16 rings. Fields for items. Printer 2 sided on gray paper. Price: $5.49 - Two or more $4.00 each.